Injured in an Accident? Our Chiropractic & Physical Therapy Center can help! After the initial shock that comes from being involved in an accident, you may notice pain, sometimes not until days later. You should be evaluated as soon as possible to limit the potential of living with long-term damage or pain. Our teams in chiropractic, physical therapy and acupuncture at Wellness One of South Bergen have been working with patients in our community for 35 years. 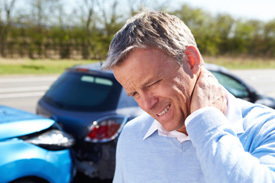 The doctors have extensive expertise in working with patients to identify and treat injuries related to automotive accidents. They also excel in preparing evaluations for specific to medical and legal standards and have relationships with a large multi-discipline network of local-area physicians and lawyers should you need further care or assistance.